Treat lack-lustre locks to the benefits of Macadamia's Natural Oil Volumising Conditioner; a daily formula developed to replenish, revitalise and detangle hair. 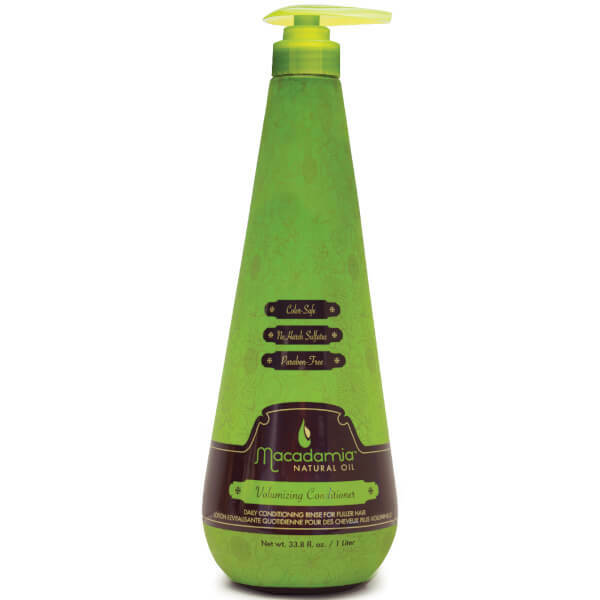 Fortified with Hydrolysed Soy Protein, Green Tea and omega-rich Macadamia Oil, the weightless conditioner adds body and bounce to fine hair, whilst eliminating static and frizz to reveal smooth, fuller-looking tresses with a silky soft finish. Hair is volumised and energised without product build-up.